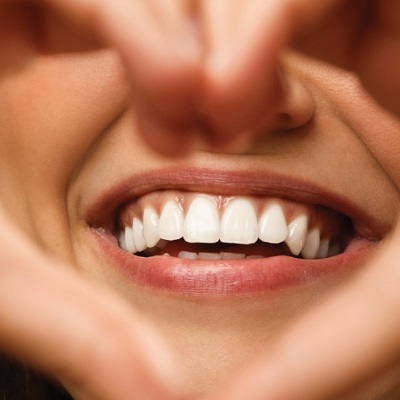 Do you want to keep your teeth healthy and reduce the risk of cavities or gum disease? Dentists recommend that you brush your teeth at least twice a day. But how many people take time to remove particles or food that remains between the gums or teeth? Flossing is a crucial part of dental hygiene that helps to remove food build-up or plaque between the teeth, thus reducing the risk of tooth decay, gingivitis, and gum diseases. It is a kind of interdental care that helps you to clean the spaces between gum bases and the teeth where a brush cannot reach. Recent research reveals that one out of seven adults in the U.S suffers from some gum disease. You don’t want to be that one in seven, right? Some dental visits can be very uncomfortable, especially when the hygienist or dentist tries to remove tartar. Tartar forms when plaque builds up along your teeth or gum line and starts to harden. Flossing helps you remove plaque during its initial stages, thus preventing the formation of tartar. Since plaque will not start to form tartar unless it has been undisturbed for a long time, regular flossing will keep plaque buildup at bay. You can combine brushing with flossing and probably an ADA-approved mouthwash for best results. We are living in an era of diminishing insurance benefits and rising medical costs; therefore you need to take proactive steps to reduce your medical expenses. Consistent flossing keeps you away from expensive dental problems procedures. For instance, replacing lost or damaged teeth can imply a substantial financial investment. Three minutes of flossing every day could save thousands of dollars in dental treatment options. Bacteria can be formed in the food debris trapped between your gum line and the teeth. It gives rise to bad breath. If you have become a laughing stock because of the foul smell that comes out your mouth, then flossing your teeth on a daily basis will do the trick. This is because flossing helps to remove the food particles that are lodged in your teeth and thus gives you fresh breath always. The effects of gum and tooth disease go beyond lousy breath, discolored teeth or discomfort. Extensive research has revealed that bacteria lodged in your teeth can also harm other parts of your body, leading to respiratory illness, diabetes and heart disease. Flossing is a simple oral hygiene routine that has enormous implications for your overall health. Your dental wellbeing will be determined by how you combine flossing and brushing every day. Recent research has shown that roughly 40% of the surface of your teeth remains unclean when you neglect to floss and opt to brush alone. Flossing helps to remove the plaque from tight spaces under your gums and between the tight spaces of your teeth. Looking for a family dentist in the Murfreesboro area? Click here to contact Murfreesboro Family Dentistry to make an appointment today!